Lowe’s Companies Inc.’s (LOW) stock has had a bumpy road since September, falling 17% from its all-time high. That is in-line with home improvement peer Home Depot Inc. (HD), but worse than the S&P 500’s decline of 12%. The shares of Lowe’s fell with the broader stock market on fears of an economic slowdown and an overly aggressive Federal Reserve. Couple that with rising mortgage rates and slower home sales, it spelled out trouble for Lowe’s. At least some hedge fund investors saw the downturn coming. The WhaleWisdom Heat Map shows that the stock’s rank fell to 96 in the third quarter from 36 in the second quarter. The Heat Map tracks the top 150 hedge funds as measured by the WhaleScore Calculation. During the third quarter, the number of funds tracked for the heat map owning the stock fell to 18 from 21. Additionally, 9 of the funds decreased their positions in the stock, while 6 increased their holdings. This was a big shift from the second quarter when 13 funds increased their positions and 8 lowered them. What is amazing is that most other hedge funds were buying the shares in the third quarter. Total holdings among hedge funds increased 3% to nearly 66 million shares, with 19 funds creating new positions and 36 adding to existing investments. Meanwhile, 69 funds decreased their stakes, while 20 closed out their positions entirely. Lowe’s stock peaked in late October around the same time the PHLX Housing Sector (HGX) began to tumble. Perhaps the top hedge funds that make up those in the heat map were paying more attention to the rising mortgage rates and the struggling housing sector. Analysts are not looking for much of a slowdown from the company as it starts fiscal-year 2020. 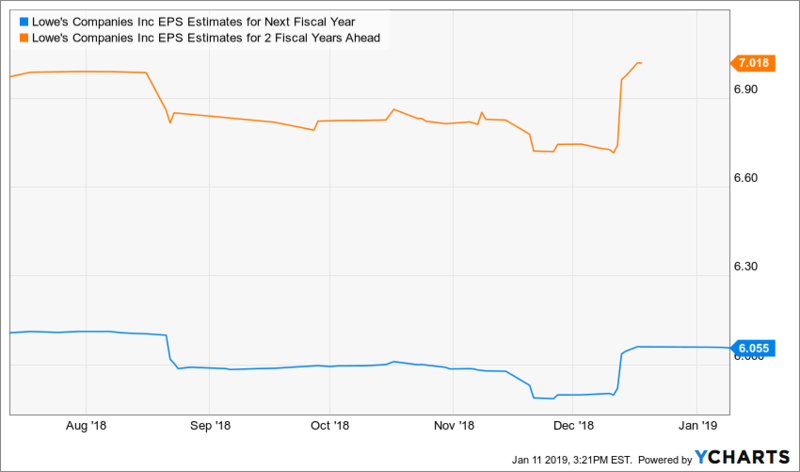 Estimates are for Lowe’s to grow its earnings 18.4% in fiscal 2020 to $6.05 per share, on revenue growth of 1.7% to $72.6 billion. Those earnings estimates have fallen about 1% since July, while revenue estimates have dropped about 2.7%, certainly not severe. 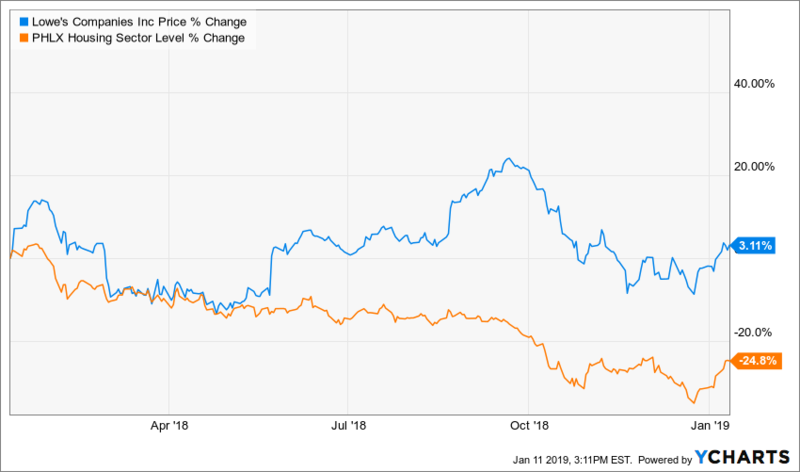 In the case of Lowe’s, it would not be surprising to see many of the hedge funds that were selling in the third quarter return to the stock at some point in the future as the shares recover. That is, if the fundamentals continue to remain strong. This entry was posted on Monday, January 14th, 2019 at 9:19 am and is filed under HeatMap, Hedge Fund News. You can follow any responses to this entry through the RSS 2.0 feed. Both comments and pings are currently closed.